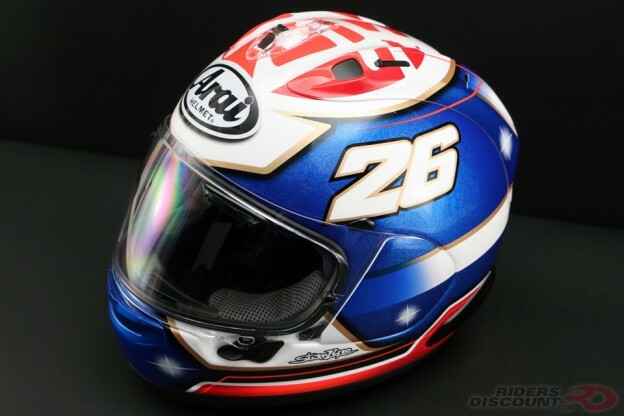 This entry was posted in News, Product Reviews and tagged Arai, Arai Corsair Ultimate Guide, Arai Corsair-V, Arai Corsair-X Full Face Helmet, Arai Corsair-X Schwantz 93 Helmet, Arai Corsair-X Schwantz Helmet, Arai Kevin Schwantz Helmet, Arai Schwantz 93 Helmet, Arai Schwantz Helmet, Corsair-V, Corsair-X, D.O.T., DOT, Eco Pure, Kevin Schwantz, motorcycle gear, Motorcycle Helmet, Motorcycle Protection, PB SNC2 Shell, Pinlock, R75 shell, Riders Discount, Snell, The 2015 Ultimate Guide to the Arai Corsair, Variable Axis System, VAS V MV Shield on March 1, 2017 by Riders Discount. 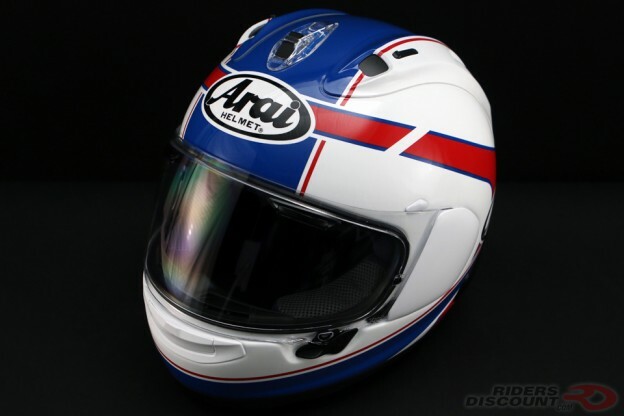 This entry was posted in News, Product Reviews and tagged Arai, Arai Corsair Ultimate Guide, Arai Corsair-V, Arai Corsair-X Full Face Helmet, Arai Corsair-X Ghost Helmet, Arai Ghost Helmet, Corsair-V, Corsair-X, D.O.T., DOT, Eco Pure, motorcycle gear, Motorcycle Helmet, Motorcycle Protection, PB SNC2 Shell, Pinlock, R75 shell, Riders Discount, Snell, The 2015 Ultimate Guide to the Arai Corsair, Variable Axis System, VAS V MV Shield on February 20, 2017 by Riders Discount. 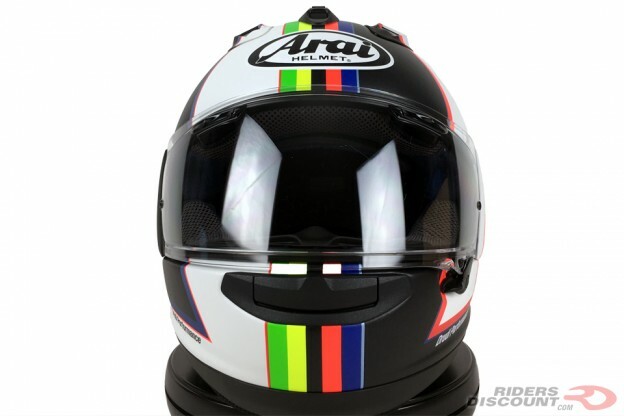 This entry was posted in News, Product Reviews and tagged Arai, Arai Corsair Ultimate Guide, Arai Corsair-V, Arai Corsair-X Dani, Arai Corsair-X Dani Pedrosa Helmet, Arai Corsair-X Full Face Helmet, Arai Corsair-X Pedrosa Helmet, Arai Corsair-X Pedrosa Samurai Helmet, Arai Corsair-X Samurai Helmet, Corsair-V, Corsair-X, D.O.T., Dani Pedrosa, DOT, Eco Pure, MotoGP, motorcycle gear, Motorcycle Helmet, Motorcycle Protection, PB SNC2 Shell, Pinlock, R75 shell, Riders Discount, Snell, The 2015 Ultimate Guide to the Arai Corsair, Variable Axis System, VAS V MV Shield on February 14, 2017 by Riders Discount. 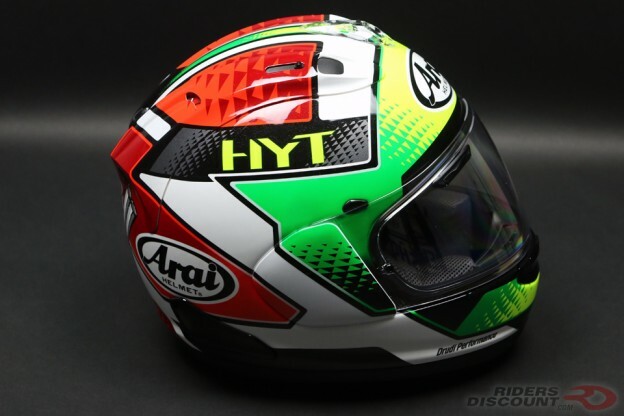 This entry was posted in Product Reviews and tagged Arai, Arai Corsair Ultimate Guide, Arai Corsair-V, Arai Corsair-X Davide Giugliano Helmet, Arai Corsair-X Full Face Helmet, Arai Corsair-X Giugliano Helmet, Arai Giugliano Helmet, Corsair-V, Corsair-X, D.O.T., Davide Giugliano, DOT, Eco Pure, motorcycle gear, Motorcycle Helmet, Motorcycle Protection, PB SNC2 Shell, Pinlock, R75 shell, Riders Discount, Snell, The 2015 Ultimate Guide to the Arai Corsair, Variable Axis System, VAS V MV Shield, World Superbike, WSBK on January 26, 2017 by Riders Discount. 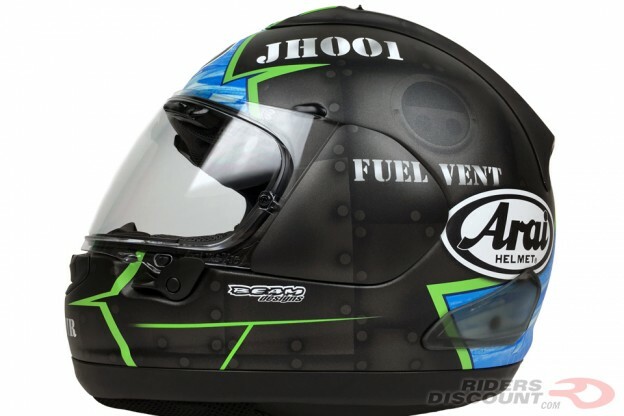 This entry was posted in Product Reviews and tagged Arai, Arai Corsair Ultimate Guide, Arai Corsair-V, Arai Corsair-X Full Face Helmet, Arai Corsair-X HRC Helmet, Corsair-V, Corsair-X, D.O.T., DOT, Eco Pure, Honda Racing Corporation, HRC, HRC Helmet, MotoGP, motorcycle gear, Motorcycle Helmet, Motorcycle Protection, PB SNC2 Shell, Pinlock, R75 shell, Riders Discount, Snell, The 2015 Ultimate Guide to the Arai Corsair, Variable Axis System, VAS V MV Shield on October 13, 2016 by Riders Discount. 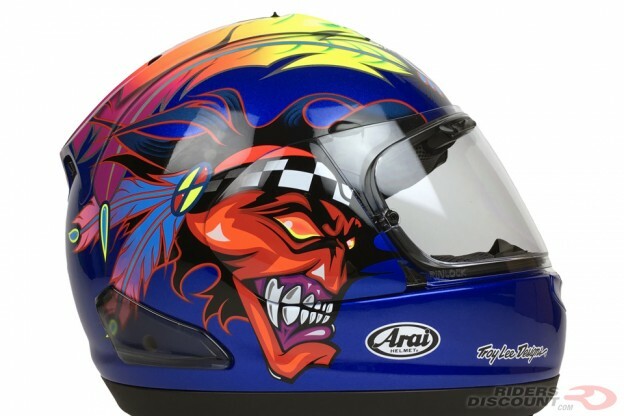 This entry was posted in Product Reviews and tagged Arai, Arai Corsair Ultimate Guide, Arai Corsair-V, Arai Corsair-X Full Face Helmet, Arai Corsair-X Hayes Helmet, Arai Corsair-X Hayes X-15, Arai Corsair-X Hayes X-15 Helmet, Arai Hayes Helmet, Corsair-V, Corsair-X, D.O.T., DOT, Eco Pure, Josh Hayes, Josh Hayes Helmet, MotoGP, motorcycle gear, Motorcycle Helmet, Motorcycle Protection, PB SNC2 Shell, Pinlock, R75 shell, Riders Discount, Snell, The 2015 Ultimate Guide to the Arai Corsair, Variable Axis System, VAS V MV Shield on August 15, 2016 by Riders Discount. 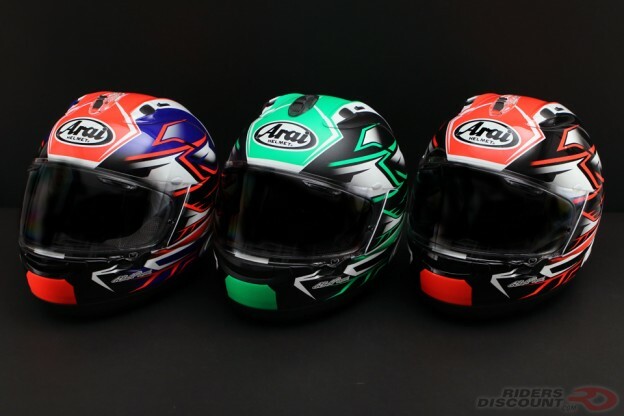 This entry was posted in Product Reviews and tagged Arai, Arai Corsair Ultimate Guide, Arai Corsair-V, Arai Corsair-X Full Face Helmet, Arai Corsair-X Russell-2 Helmet, Arai Russell Helmet, Corsair-V, Corsair-X, D.O.T., DOT, Eco Pure, MotoGP, motorcycle gear, Motorcycle Helmet, Motorcycle Protection, PB SNC2 Shell, Pinlock, R75 shell, Riders Discount, Scott Russell, Scott Russell Helmet, Snell, The 2015 Ultimate Guide to the Arai Corsair, Variable Axis System, VAS V MV Shield on August 12, 2016 by Riders Discount. 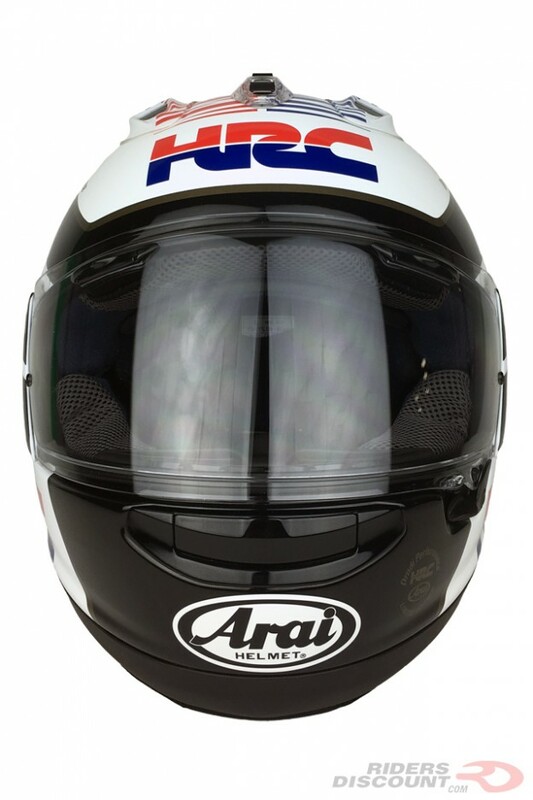 This entry was posted in Product Reviews and tagged Arai, Arai Corsair Ultimate Guide, Arai Corsair-V, Arai Corsair-X Full Face Helmet, Arai Corsair-X Haslam Black Helmet, Arai Corsair-X Haslam Helmet, Corsair-V, Corsair-X, D.O.T., DOT, Eco Pure, Haslam Motorcycle Helmet, MotoGP, motorcycle gear, Motorcycle Helmet, Motorcycle Protection, PB SNC2 Shell, Pinlock, R75 shell, Riders Discount, Snell, The 2015 Ultimate Guide to the Arai Corsair, Variable Axis System, VAS V MV Shield on August 5, 2016 by Riders Discount. 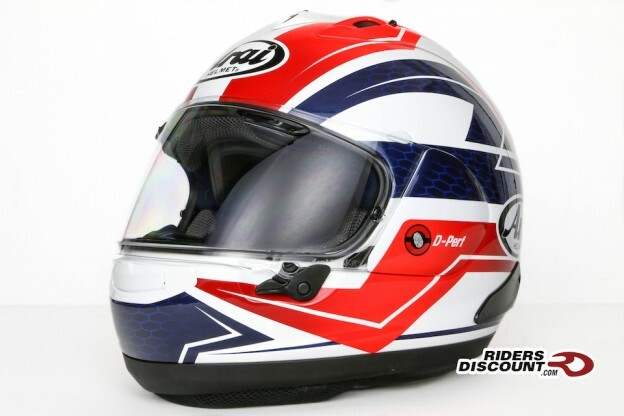 This entry was posted in Product Reviews and tagged Arai, Arai Corsair Ultimate Guide, Arai Corsair-V, Arai Corsair-X Full Face Helmet, Arai Isle Of Man Helmet, Corsair-V, Corsair-X, D.O.T., DOT, Eco Pure, IOM TT, IOM TT 2016 Helmet, Isle of Man, Isle Of Man Helmet, Isle of Man TT, Isle Of Man TT Helmet, Limited Edition Arai Corsair-X IOM TT 2016 Helmet, MotoGP, motorcycle gear, Motorcycle Helmet, Motorcycle Protection, PB SNC2 Shell, Pinlock, R75 shell, Riders Discount, Snell, The 2015 Ultimate Guide to the Arai Corsair, Variable Axis System, VAS V MV Shield on June 9, 2016 by Riders Discount. 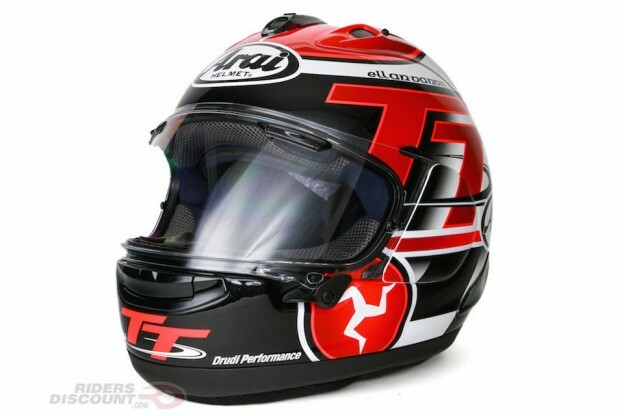 This entry was posted in Product Reviews and tagged Arai, Arai Corsair Ultimate Guide, Arai Corsair-V, Arai Corsair-X Curve Helmet, Arai Corsair-X Curve Red Helmet, Arai Corsair-X Full Face Helmet, Corsair-V, Corsair-X, Corsair-X Curve, D.O.T., DOT, Eco Pure, MotoGP, motorcycle gear, Motorcycle Helmet, Motorcycle Protection, PB SNC2 Shell, Pinlock, R75 shell, Riders Discount, Snell, The 2015 Ultimate Guide to the Arai Corsair, Variable Axis System, VAS V MV Shield on April 22, 2016 by Riders Discount.